Look good, like the mk2. Just need to sort the decals! Nice models Gordon , but not a route I would follow. I shall stick to r-t-r, at least until I have a lot more experience. My layout now scheduled to appear at Eurotrack in a couple of weeks, and in Continental Modeller. 8 versions of the Ge4/4III are/will have been available. In brackets in the list below are the date periods during which the locos ran in this livery on the RhB. 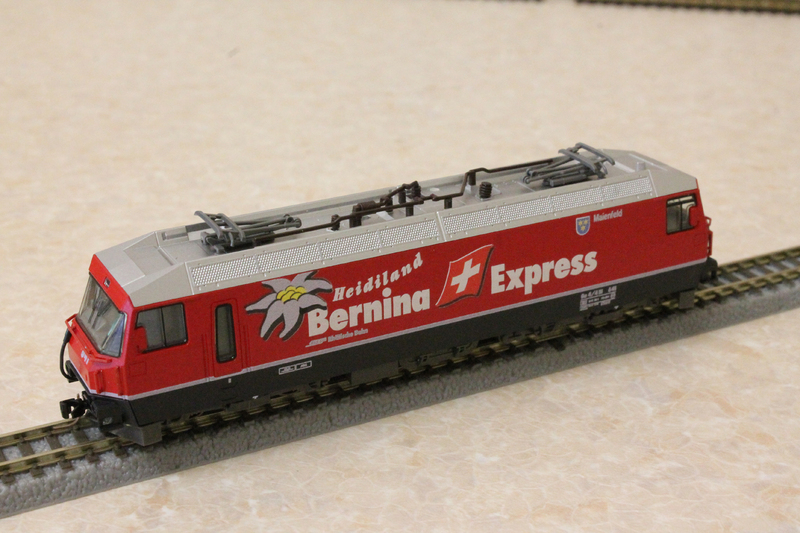 Those who like time period realism on layouts should note some of the dates carefully as some combinations will be unrealistic, for example Heidiland Bernina should not run with the Glacier Express coaches as the latter have only run since 2006. 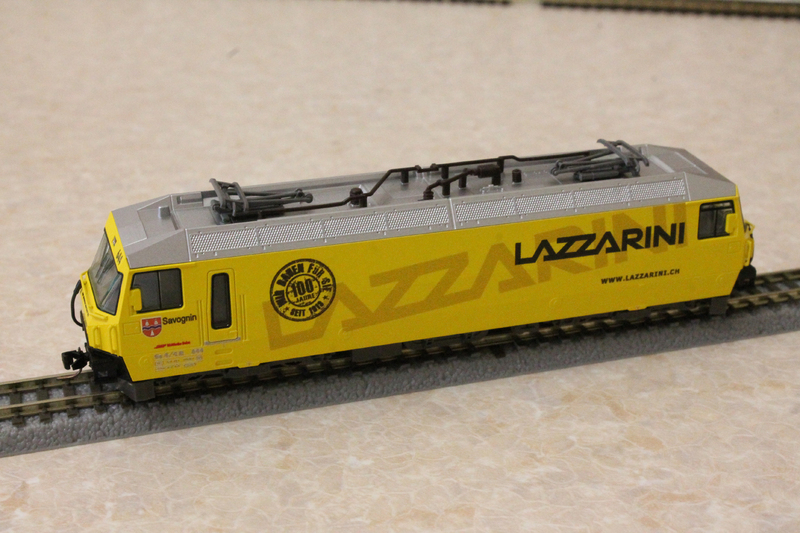 This may explain why it has sold less well than the Lazzarini issued at the same time. Also, most obviously the three 'duplicated' locos with the same number shouldn't really be operating at the same time. As there are only 12 loks in the class, that's not bad! I have looked at the possibility of modifying the Allegra 3-car into the 4-car S-Bahn version, but although at first glance it might seem easy, the window/door etc arrangements would require quite a few quite complex modifications. The new universal driving trailers are very similar to an Allegra coach so Kato may well choose to do one, similarly the AGZ. 650 Die Kleine Rote - I see from online photos that 650 'Seewis im Prättigau" in carried the Die Kleine Rote livery in 2003-2005, though perhaps you can enlighten on the full date range for this livery. Realised too late that I'd missed that one - just proves the point as to how expansive the range is getting, although the time spans for duplicated numbers is a problem for time-realistic layouts. The other problem is that I (and my mate also) started working with this Kato GEX stuff as a 'new modelling challenge'. Now that so much is going to be available off the shelf the 'modelling' aspect is diluted for some poeples' tastes. I'm sure there's enough you can do to maintain "modeller" status - you've complained on here that Kato aren't doing the liveries "we need", so you can't now complain that it's becoming too easy. 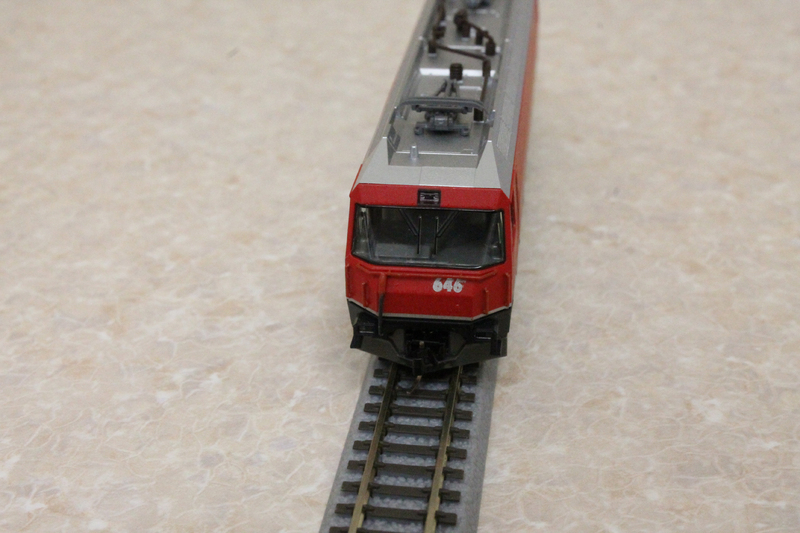 I am new to the forum, but have been a railway modeller for some forty years. Now currently modelling N gauge, a couple of years ago I started following the RhB in N. I used to model it in HOm but it got too expensive. I model it in Nm which is not as difficult as you think. I have modified seven GE 4/4 IIIs, two Allegras and various coaches. 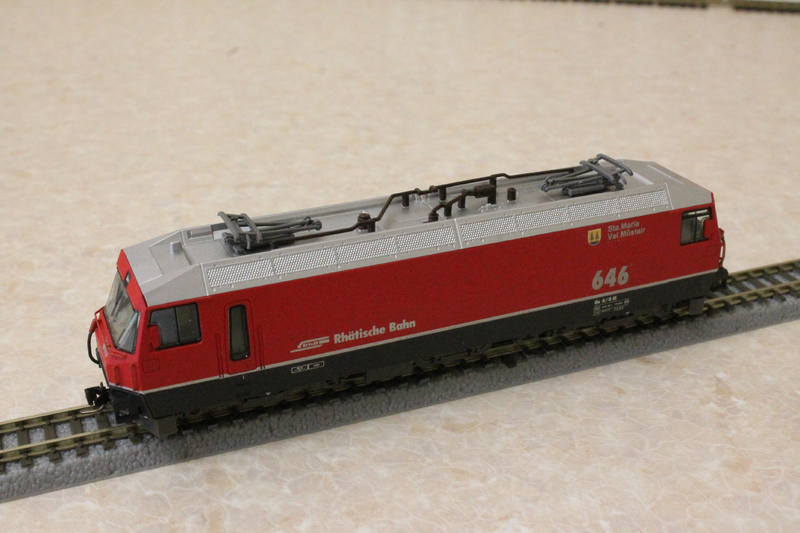 I have also done a Shapeways ABe 4/4 III railcar using the Tomix chassis as recommended but with wheels from a Kato Allegra re-gauged to Nm - no problem with the gear meshing. I also buy various items from AB Modell. Michael is very helpful, he does supply decals for coaches and also supplied decals for my ABe 4/4 III railcar. Just email him, he accepts PayPal and usually I get the items within 3 or 4 days. Hopefully I will post some photos in the coming weeks. Yep, I'd also be interesting to see that, as the gauge inaccuracies annoy me on the Kato stuff. Here's a link to a site that shows you how to convert N to Nm on both the Kato GE4/4 and Allegr. Its not a difficult as you think, you just have a lot of filing to do along with some careful shaving with a sharp knife. Here are some photos of my Kato GE 4/4 IIIs. All have been fitted with Micro Trains Z scale couplers and AB Modell etched handrails a little detail that makes all the difference. 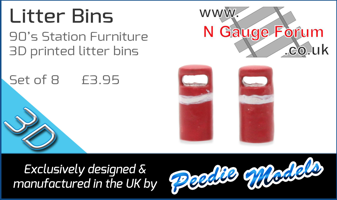 They are easy to fit as you can get a drilling jig to drill the holes in exactly the right places. Locos are displayed on Rokuhan Z track. Here is 646. Decals are by AB Modell. To change the number, carefully rub the old number and name with Brasso metal polish wadding. It will remove them quite easy but be careful not to rub too hard or too big an area, you do not want to remove any of the silver lower body line. After applying the new decals, seal the model with varnish, I use Humbrol satin varnish from an aerosol. Here is a head on view of 646 showing how much better the Z scale track looks.